Traditional: NGO raises charitable dollars. Hires expert staff to send abroad. Expert staff sets up offices and the necessary facilities (clinic, school, etc.). Expert staff proceeds to provide services. NGO counts and reports on the number of people it helps abroad. NGO continues raising money to fund the staff it has established in its international offices. Or, in some cases, the expert staff moves on to another community, and there is no infrastructure at the local level to ensure ongoing services and implementation, nor any external system for monitoring and reporting. New School: NGO raises charitable dollars. Hires expert staff–most often local–to work on programs. NGO leverages its dollars to raise funds from the local community and local government, thereby forming a three-way partnership to achieve the goal–whether that’s to establish a new health clinic, school, or access to clean water, etc. NGO provides expertise to help local government and community to achieve the goal, train people from community or region to provide the ongoing service, establish a viable revenue model for a sustainable business model, and perhaps establish a local business enterprise to provide long-term services. NGO counts and reports on the number of people it helps abroad. More importantly, NGO monitors the project to ensure longer term success–making sure services are being provided over time, not just after the project is finished. NGO moves on to other communities, thereby increasing its impact. NGO seeks to have their models spread virally by being replicated by others, beyond just the areas where it works. 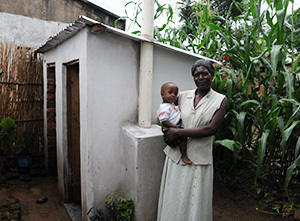 Disease and death can be prevented by providing access to WASH services. Ned Breslin, CEO, Water for People, advocates for business-oriented solutions that are community-wide, serving homes and schools in developing countries. In a private interview, Breslin explained to me that his organization leverages its investment to involve the local government and community in partnering to establish the WASH infrastructure and revenue model. I’ll be blogging from the Clinton Global Initiative for my third year during the week of September 20. Stay tuned here to read about innovators who are addressing global challenges.